BlackRockBlackRock employees Stacey Ganina, John McKinley, Zaneta Koplewicz, and Joshua Kazdin. Is it possible to invest for a cause and deliver competitive financial returns? A couple of years ago, a group of young financiers at the asset-management giant BlackRock set out to find out. Zaneta Koplewicz and Rob Morris, who were 28 and 26 at the time, were inspired by a 2011 article in The Economist about impact investing. That means investing in companies or organisations for a cause, like environmental or social good, while still generating a financial return. BlackRock is a huge organisation with $4.6 trillion in assets under management, so Koplewicz and Morris first needed to find potential home for such a division. They eventually got Ken Wilson, a vice chairman of the firm, on board to help. They created a voluntary working group, which brought a proposal to CEO Larry Fink. Fink liked the idea, and that led to the creation of BlackRock Impact, which today manages some $200 billion with products ranging from sustainable exchange-traded funds, or ETFs, to green-bond funds. Fink hired Deborah Winshel — who was previously president and chief operating officer of the Robin Hood Foundation, and before that, chief financial officer of the Metropolitan Museum of Art — to lead the charge as global head of impact investing. Koplewicz has since moved on to become head of investor relations for BlackRock’s event-driven team, and Morris is no longer with the firm. 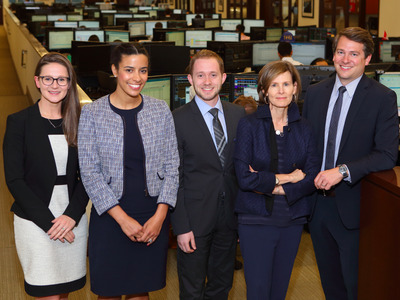 But Winshel runs a group of five people who partner with various divisions within the firm — be it bond trading or the alternative-investments group — to identify sustainable investments for clients. “From the very beginning, this was never considered a standalone set of products for niche investors, but rather an approach to investing that can be integrated across a portfolio, driven by our clients who increasingly seek these strategies,” John McKinley, a vice president and member of the BlackRock Impact team, told Business Insider. Impact’s approach is three-pronged, including screened investments that exclude specific sectors like tobacco or fossil fuels; investments that focus on companies with strong environmental, social, and governance performance, like a low-carbon fund; and investments that target specific, measurable outcomes. A big part of what they do is about reframing the investments BlackRock already makes. The firm had an existing renewable-power fund, for example, before Deborah came on board. Her team then worked to ensure it fit Impact’s requirements and then incorporated it into the platform. The company is also launching new funds. 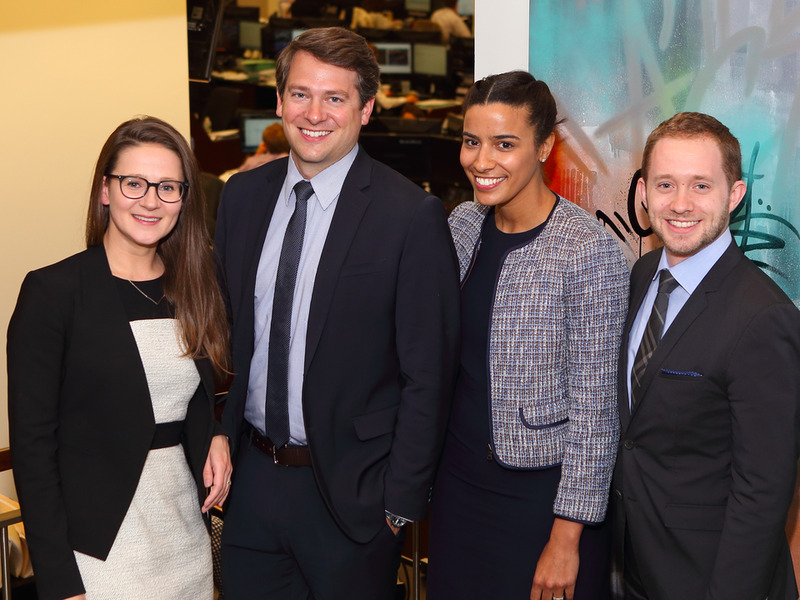 The firm launched an impact exchange-traded fund under the ticker MPCT in April that provides investors exposure to companies that address the UN sustainable-development goals. There’s also the low-carbon-exposure target ETF “CRBN” and the broader “Impact US Equity Fund” BIRAX. BlackRock’s efforts in this space reflect a broader trend in the market. In short, environmentally minded investing is becoming big business. BlackRockDeborah Winshel with Ganina, Koplewicz, Kazdin, and McKinley. The market for green bonds, where the proceeds are used for environmentally friendly projects, is booming. Big-name investors are talking excitedly about environmentally sustainable infrastructure investments. The world’s biggest insurer, Axa, recently ditched tobacco stocks. Millennials are twice as likely to invest in companies that have a positive impact on society, McKinley said, and that generation is set to inherent around $40 trillion over the next three decades. “I don’t think people talked about ESG [environmental, social, and governance] 18 months ago in the way that it’s now becoming much more of a common conversation among investors,” Winshel told Business Insider. BlackRock Impact has had some success, hoovering up $200 billion in assets. That represents impressive growth, though the amount still makes up a small percentage of BlackRock’s total $4.6 trillion in assets. It is still early days.